Broadcaster SMG has announced plans to float one of its key businesses, Virgin Radio, on the stock exchange. SMG said the move to turn Virgin Radio into an independent company would allow SMG to focus on its TV business, which includes Scottish Television. It said income from a flotation would give a strong platform to Virgin Radio - which has one of the three UK national commercial radio licences. SMG also announced a 50% fall in pre-tax profits to £10m for 2006. It also said it had halted the sale of its outdoor advertising business Primesight, which owns more than 13,500 large outdoor advertising panels across the UK, because the price it would attract was too low. However, SMG, which is also selling its cinema advertising business Pearl & Dean, said it would restart the Primesight sale when market conditions were better. SMG chairman Richard Findlay said he was "very excited about both the prospects for Virgin Radio as an independent company and the turnaround in our core TV business". Chief executive Rob Woodward said Virgin Radio had seen a lot of investment in technology and in hiring broadcasters, and that the float would create "a strong and focussed radio business". SMG had already warned that its 2006 profits would be down, with tough advertising hitting its STV and Ginger Productions arms. Group income fell 8% to £147.3m. The firm added that in the first three months of 2007, television advertising income had fallen 5% but said revenue from radio had grown 8% on the same period a year before. In February this year, SMG broke off merger talks with Ulster TV (UTV), operator of TalkSport. The deal would have created a media group worth about £400m. 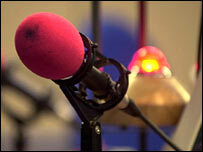 Hiving off Virgin Radio as a separate business made sense, said Hargreaves Lansdown Stockbrokers analyst Keith Bowman. "Whilst investor appetite for radio assets is not exactly running high at the moment, due to the challenging advertising backdrop, separate management concentration on two completely different businesses should significantly increase the focus on recovery". He added that retaining the Primesight arm looked to be a "sensible move given the fire sale perception which had developed".